Passion Pit Tour 2019 - 2020 | Tour Dates for all Passion Pit Concerts in 2019 and 2020! 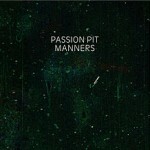 Passion Pit Passion Pit is an American indie pop band from Cambridge, Massachusetts, formed in 2007. The band consists of Michael Angelakos (lead vocals, keyboards), Ian Hultquist (keyboards, guitar), Xander Singh (synthesizer, samples), Jeff Apruzzese (bass, synth bass), and Nate Donmoyer (drums). All of the band members attended the Berklee College of Music in Boston, with the exception of Angelakos, who attended Emerson College.